Welcome! Thanks for taking the time to look through my project with Redemption Church Miami! 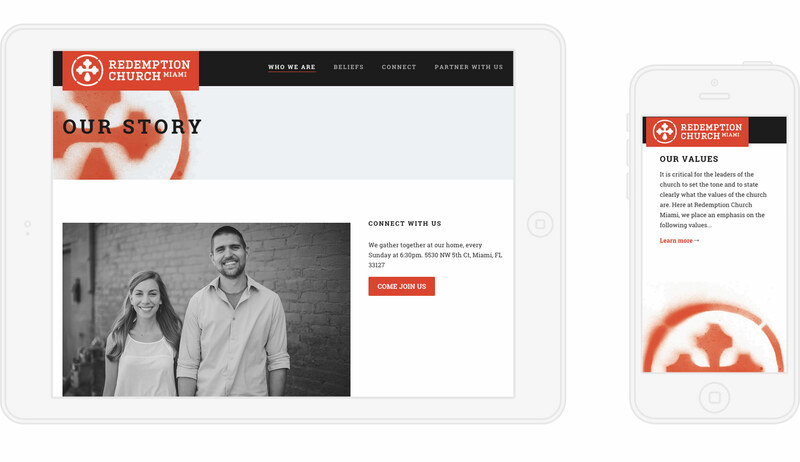 Jeremiah and his wife has moved to Miami to plant the church Redemption Church Miami, and they needed an awesome website to help reach their community. Working with Churches is my specialty, and working with Church plants is very close to my heart. My wife and I are members at Sojourn Community Church which is only 10 years old, and was the sending church for Jeremiah and Redemption Church Miami. 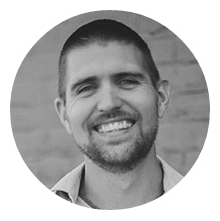 Jeremiah needed a website that he could easily manage and keep updated. As a pastor of a church plant, every minute is valuable, so it really is important to have a simple way to edit the website and communicate with your local community. I recommended that we use Wordpress, since it has no costs besides hosting, and is very simple to manage. I worked with Jeremiah to create a great looking, responsive website that was consistent with the Redemption Miami brand. 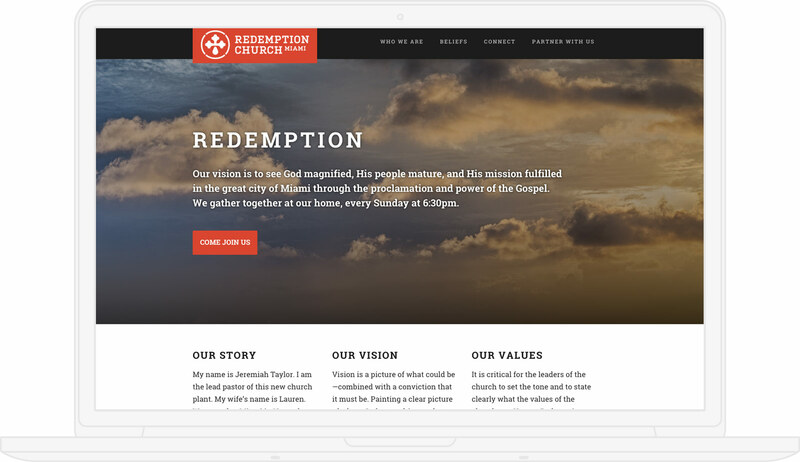 Do you want an awesome website like Redemption Church Miami?